If you have been looking for mobility aids to purchase in Dubin, you will be pleased to know that we have several to choose from. 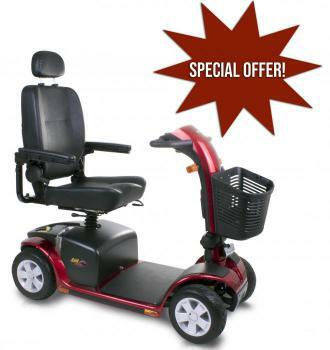 Our most popular is the Falcon from Karma Mobility, which is high in quality, durable and is completely reliable. Some of the best features include height adjustable armrests, quick release steering handle, kerb climber, and quick release batteries. This power chair is made from an aluminium alloy and can be collapsed to allow easy transport and storage. All of our mobility aids in Dublin have been through rigorous testing by our experts, so you can rest assured knowing that you will receive a piece of equipment that is high in quality and guaranteed to leave you fully satisfied. Our professionals are always on hand to answer any queries you may have regarding our mobility aids, and can offer reliable advice on the best product most suited to your needs and wants. Not only can we provide you with some of the very best mobility aids on the market, we also stock a range of disability access products including scooters, wheelchairs, power packs, ramps, mobility accessories, tri-walkers, rollators, walking frames, walking sticks, crutches, sitting aids, bathroom and toilet aids, stairlifts, and much more. Just head over to our website to take a look through our products. If you wish to place an order, just add any items you want to your basket, and head to the checkout to make a secure payment. If you would like to enquire with a member of our customer service team about our mobility aids in Dublin, please do not hesitate to give us a call today on 01 616 7079. We will be more than happy to help, and will welcome you at our showroom in Kildare if you wish to make a visit. Alternatively, send us a message by filling out the contact form found on our website. We will reply as soon as we can.